Join us for the June edition of OpenBook on June 16, 2012 (4-6pm) for a discussion on Children's Literature and Writing for Children. 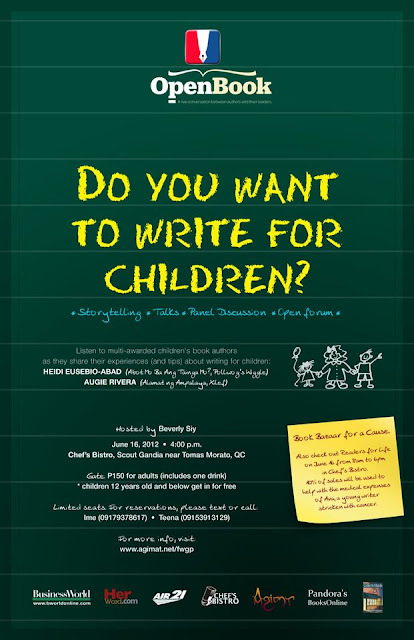 Listen to multi-awarded children's book authors Heidi Eusebio-Abad (Abot Mo Ba Ang Tainga Mo?, Polliwog's Wiggle) and Augie Rivera (Alamat ng Ampalaya, Xilef) as they share their experiences (and tips) about writing for children. This will be held at Chef's Bistro in Quezon City. BOOK BAZAAR FOR A CAUSE (https://www.facebook.com/events/399182680133758/). Also check out Readers for Life on June 16 from 8am to 6pm in Chef’s Bistro. 10% of sales will be used to help with the medical expenses of Ava, a young writer stricken with cancer. LIMITED SEATS. 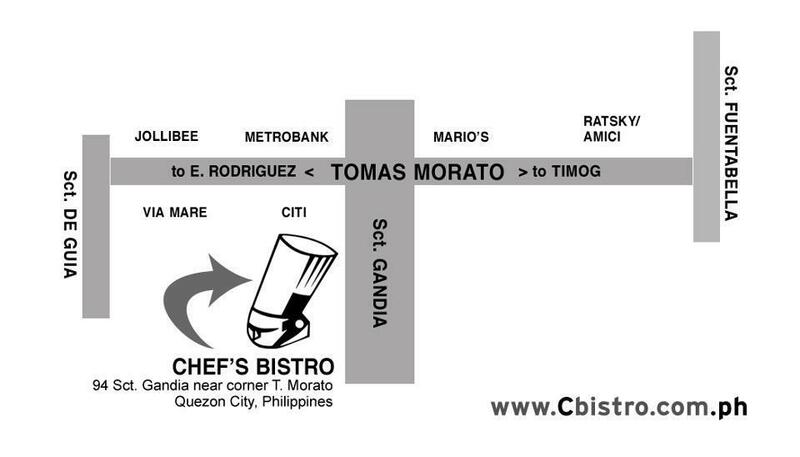 FOR RESERVATIONS, PLEASE TEXT OR CALL IME (+63.917.9378617) OR TEENA (+63.915.3913129).